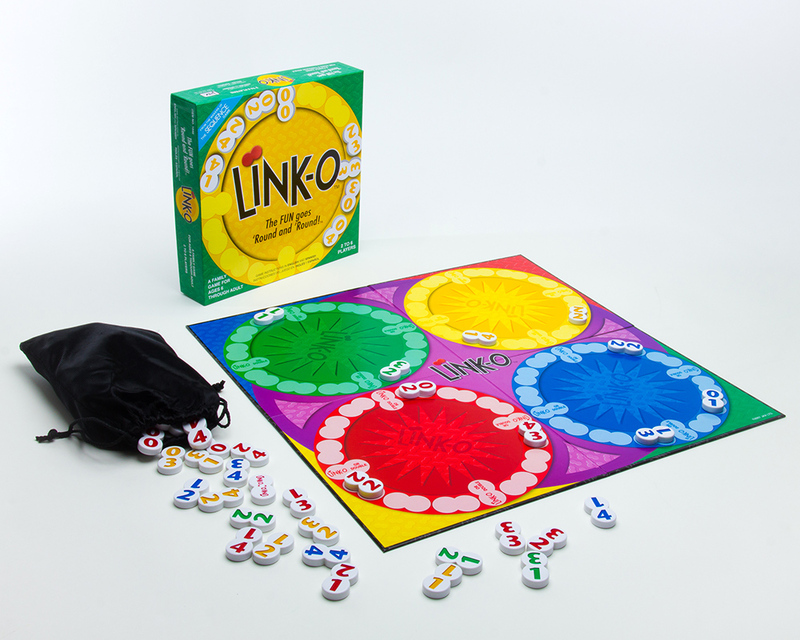 LINK-O is the fun, challenging numbers game that will have you turning in circles! Place tiles end to end on the board by matching numbers and color on each tile, as you try to be the first to play all of your tiles. Tiles left over in opponent’s possession are totaled as points for YOU. It’s ALL-AROUND FUN WITH NUMBERS for the whole family!